Hurricane Insurance for New Builds Under Construction | The Voss Law Firm, P.C. Expansion is a great sign of a booming business, whether it takes the form of renovation of your existing building or the start of new construction on a recently-acquired property. However, misfortune can befall your brand new endeavor even before the ribbon cutting ceremony—especially during hurricane season. 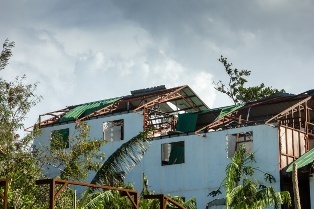 Attorney Bill Voss explores common damage exceptions after a hurricane and how to make sure your new structure is covered before the next storm. Property location. If you are relying on an existing policy to cover storm damage, you may be disappointed. Commercial insurers are allowed to exclude weather-related damage for properties in the 14 coastal counties along the Texas coast, so owners may be forced to purchase a separate windstorm policy from the Texas Windstorm Insurance Association (TWIA). Project description. It is vital that owners consider how the project is described in the in the declarations or endorsement to the policy. In addition to the street address, general description of the completed project (such as “five-story residence”), and acreage of the covered property, owners should examine the specific language used to describe the project so that claims are not unfairly limited. All builder’s risk policies should contain descriptions of all covered projects—and if an owner has secured ongoing or “rolling” builder’s risk coverage, it should be updated regularly to include new projects under construction. Flooding losses. The majority of long-lasting Texas hurricane damage is caused by storm surge, or a rise in water levels that causes widespread flooding. Unfortunately, this kind of water damage is typically not covered by commercial insurance providers, and owners will need to secure a separate National Flood Insurance Program (NFIP) policy. Coverage period. The majority of builder’s risk policies offer temporary coverage, beginning on the day the policy is purchased and ending when construction is complete. An early inception date allows for the coverage of materials and equipment that are transported to or waiting on the site before actual work begins. However, owners and insurers may disagree about the completion date, and therefore whether a loss is covered or not. Possible completion dates include the date that the local building authority issues a certificate of occupancy, on the day of the structure’s “grand opening,” or when the building passes a final safety inspection. For this reason, owners should carefully choose the requirements for the project completion date, and have procedures in place to insure the completed structure. Inland marine coverage. Commercial structures may require millions of dollars in building materials, and builder’s risk policies may exclude some portion of materials that have not yet arrived onsite. Inland marine insurance offers an extension on materials that are damaged while in transit to the building site, and may cover property being stored on an offsite location. Covered losses. It is worth reading through a builder’s risk policy several times to determine what is and is not covered. Some policies may only cover materials that have been incorporated into the build, not those that were damaged while stored onsite. Others may not include coverage for cranes, forklifts, or heavy machinery used in construction. It is also common for insurers to exclude coverage for damage to the land itself (such as trees, lawns, or gardens) and any temporary structures (such as scaffolding) used to complete the build. An insurer’s failure to respond quickly to a builder’s risk claim can lead to delivery delays, work stoppages, and even legal action against the owner. The attorneys at the Voss Law Firm can read through your construction policy carefully and negotiate with the insurer on your behalf, getting you the maximum amount of coverage you are owed. Simply fill out the form on this page today to learn more about your options, or order a free copy of our book, Commercial Property Owners Must Read This BEFORE Filing an Insurance Claim.